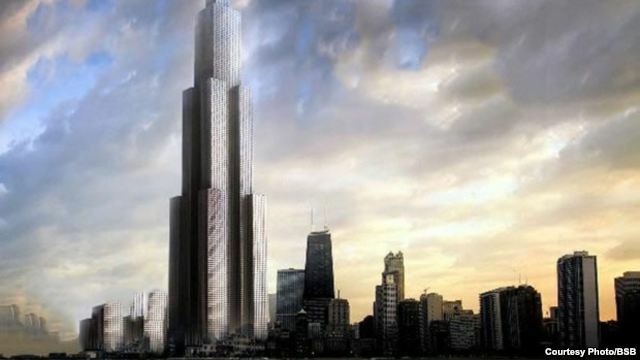 A Chinese construction company is planning on building the world’s tallest building in just 90 days. A Chinese construction company is insisting that it will be able to build the world’s tallest skyscraper in a matter of weeks. The Broad Sustainable Building corporation tells the Construction Week magazine it is confident it can complete the 220-storey building, dubbed Sky City, in just 90 days. The group says the 838-meter structure in the south-central city of Changsha will be completed at an astonishing pace of five storeys a day, using a special method that uses prefabricated sections. Officials say construction is expected to begin by the end of the year, but they are still waiting for Chinese government approval of the project. When completed, it will house over 31,000 people, as well as schools, hospitals, offices and other businesses. Meanwhile in New York… They’re still working on the One World Trade Center more than 10 years after the 9-11 attacks.